The Black Dog is pleased to host a monthly series...anchored by the duo of Dean Magraw, guitar and Davu Seru, percussion; the first Tuesday of the month at 7:00pm-9:00pm. Composer, arranger, producer, guitarist Dean Magraw has fine-tuned his “Heavy Meadow” approach to music from years of performing and recording with some of the finest musicians in the United States, Europe, and Japan. His first recording, Broken Silence, came out in 1994 and won the NAIRD award for Best Acoustic Instrumental Album of the Year. Dean has since produced myriad passionate albums, including his latest release, Fire on the Nile (Red House Records), a duo collaboration with renowned percussionist, Eric Kamau Gravatt. 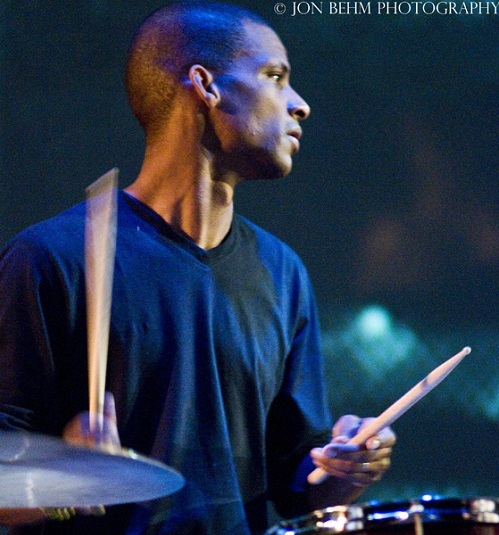 Davu Seru is a drummer and composer. He has worked with numerous improvising musicians and composers throughout the United States and France. He is composer and bandleader for the ensemble No Territory Band and composer-in-residence at Studio Z in Saint Paul. He is member of the composer-improviser orchestra Cherry Spoon Collective and Trio SDS with French musicians Guilluame Seguron and Catherine Delaunay. He has received awards from the Jerome Foundation (2017-18 Composer/Sound Artist Fellow), American Composers Forum (Minnesota Emerging Composer Award), the Metropolitan Regional Arts Council (Next Step Fund) and has received commissions from the Zeitgeist Ensemble and Walker Art Center. In addition to his musical pursuits, Davu is a published author and a professor of English and African American literature and culture at Hamline University.